Samsung smartwatches are among the very best smartwatches in the world – just look at the Samsung Galaxy Watch. However, with that premium quality comes a premium price point, too. Which is why our eyes lit up as soon as we saw that Samsung has launched its official Black Friday sales, discounting all of its very best devices. 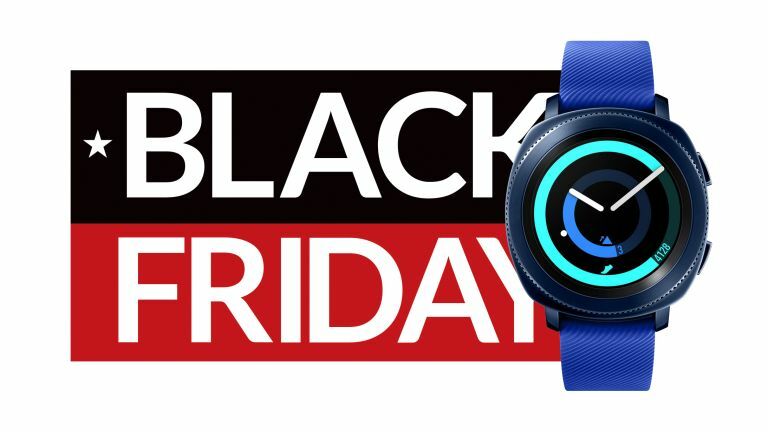 These Black Friday 2018 UK deals can be got over on Samsung's official online store, and cover everything from Samsung's smartphones, to the brilliant Samsung Gear Sport. It is Samsung's last generation smartwatch, but is practically identical to the current Galaxy Watch. The focus with the Gear Sport is on fitness, it'll help you achieve health and wellness goals, provide nutrition management alerts, and help you to be generally more active. It features a circular bezel (like the Gear S3) and AMOLED 1.2-inch display, and is designed with military-level durability. It also features easily changeable 20mm straps, so can easily transition from the gym, to the boardroom, to dinner. It'll be able to control your smart home devices, and it also features NFC and Samsung Pay. It's a cracking watch, and the deal is not to be missed if you're after a Samsung smartwatch.